My wife and I love showing the world to our toddler, from how to flip a pancake to the beauty of hoodoos at Bryce Canyon. He responds with an increasing vocabulary of Chinese and English words. My wife is a native Mandarin Chinese speaker and I am a native English speaker, and we enjoy sharing both languages in our home. According to data from the 2013 American Community Survey released by the Census Bureau, 20% of U.S. residents speak a language other than English at home, which include languages spoken by those five years of age and older. 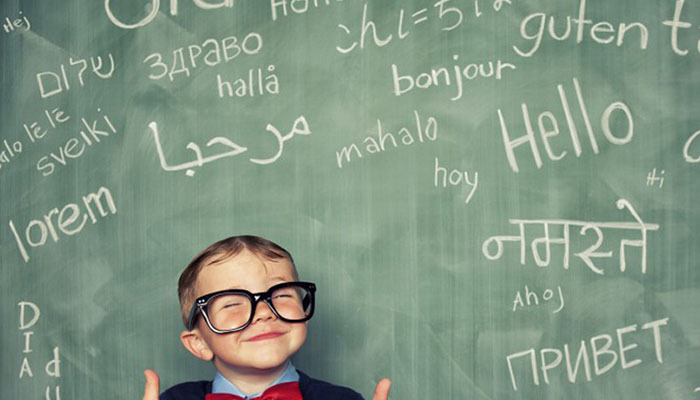 Research shows many academic advantages of being bilingual, including superior problem solving and multitasking skills and increased cognitive flexibility. Research also helps set the record straight on common myths. Language development milestones are the same in all languages and learning more than one language at a time does not cause speech developmental delays. Some children may mix up grammar rules or use words from both languages in the same sentence, but this a normal part of bilingual language development. If there is a problem, then it will show up in both languages. Learning two languages will not confuse a child and usually by 4 years of age, kids can separate the different languages. In learning a language, many will have a dominant language, which can change over time. School-aged kids usually prefer to speak in the majority language instead of the one spoken by their parents. Children can learn to speak in more than one language. Here are some rules of thumb for parents: be consistent, do what feels natural, keep the language developmentally appropriate, and keep your child interested such as with music and books. Below are a short list of resources and references. We have found our toddler likes being read books in different languages, and he also likes being rewarded in tickles. Like any other skill, learning a language needs lots of practice to do it well. If there is a concern with your child’s language development, then please connect with your provider. Xie Xie (谢谢, Thank you)! Chan, E., Fierro-Cobas, V. Language Development in Bilingual Children: A primer for pediatricians. Contemporary Pediatrics. 2001; 7:79.